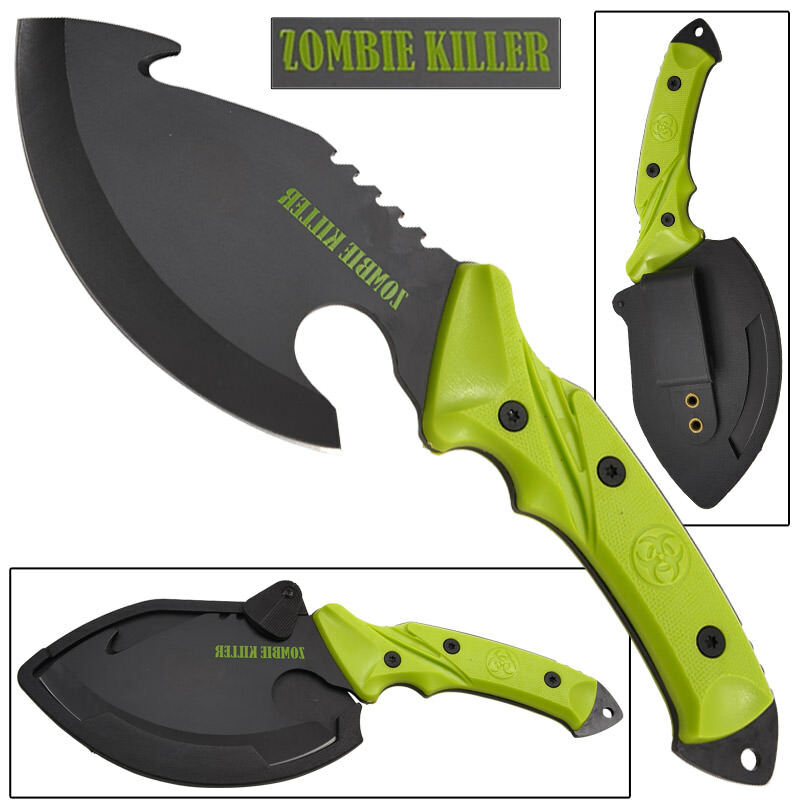 A fusion of two ancient tools, our Zombie Killer Primal Fear Knife combines the functionality of a kitchen cleaver with the unique look and extreme utility of the Inuit ulu knife. A versatile tool well suited for heavy-duty tasks but most ideal for hunting, the thick and heavy blade features a fully curved razor-sharp skinning edge, a gut hook and serrated reverse edge along with a strong handle that allows it to withstand heavy chopping as a cleaver. 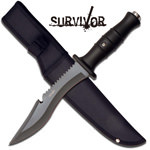 Made of high quality 3CR13 surgical stainless steel for maximum toughness the highly durable blade is black powder coated to resist corrosion while the tough ABS handle is ergonomic and provides a secure grip in all conditions. 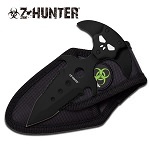 Befitting the “Zombie Killer” name, the bright green handle provides a unique look with a biohazard emblem printed on both sides and the distinctive green Zombie Killer logo stamped on the blade. 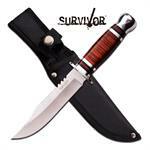 Includes a FREE ABS holster with a sturdy belt clip to hold the knife secure by your side.